Day 1- To Lake Mburo National Park. Wake up early enough and take your breakfast. 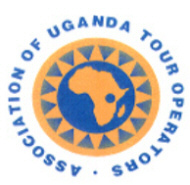 A tour guide from AA safaris and tours ltd will pick you up from Kampala and drive you south westwards. Take a stopover at the equator and then later transfer to Mbarara . You will then proceed to Lake Mburo NP. Have lunch , Indulge in an afternoon Canoe Ride and then in the evening, go for a nature walk to the salt lick area. The salt lick is where most animals in this park come to lick salt. Viewing is aided by a timber watching platform. You will indulge in a game drive in Lake Mburo Np and then later transfer to Kibale Np . Located 26km at the south-east of Fort Portal town Kibale National park is home to over 14 species of primates that include the Colobus monkeys, Chimpanzee, the blue mangabeys, red tailed monkeys, baboons to mention but a few. You may stay at either Fort portal town or in Kibale National park . Day 3 – Chimpanzee Tacking in Kibale Forest – The Transfer to Queen Elizabeth. Wake up early in the mornings and take cup of tea or coffee. Go for a game drive along Kasenyi track to search for Buffalos, Elephants, Warthogs, the elusive leopard, hyenas and Lion. The search may take 3-4 hours . Return to the lodge for mid morning breakfast. After lunch, a two-hour launch cruise along the Kazinga channel proffers visitors a unique opportunity to encounter at close quarters hippo and a variety of bird species common to the park. The prolific bird life is colorful and astonishing with well over 550 resident species. Dinner and overnight at your lodge. Wake up for breakfast and then later convene at the Kyambura Gorge to start the chimpanzee trek. The Kyambura gorge is situated south of Lake George and east of Queen Elizabeth National Park where the Kazinga Channel separates from the lake, flowing to the Lake Edward side. Even though it has an alike ecology with QENP, the ordinary blockades shaped by the Kyambura Gorge and Kazinga Channel make it likely to handle the area as a secede entity. Kyambura gorge is shock absorber for the north-eastern part of Queen Elizabeth Np. There is no land link between the reserve and the park, animals simply cross the Kyambura river where it is shallowest during the dry seasons to move between the protected areas. The river gorge manacles a high-canopy humid forest which scores to a swamp-forest and papyrus (Cyperus papyrus) marsh near the moth of the Kyambura river. The eastern border go after the Buhindagi river from Lake George, south-east to Kasyoha-Kitomi Forest Reserve (a damp semi-deciduous forest not presently included within the IBA) where the boundaries of the Forest and Wildlife Reserves adjoin. The Kyambura reserve is a home to both fresh and salty volcanic lakes. The most important salty lakes include; Lake Bagusa, Lakes Nshenyi and Maseche while Lakes Kararo, Chibwera , Kinera, and Kyamwiga have fresh water and more to see. Take breakfast and later go for briefing from rangers . Start your trekking gorilla in Africa. You will then be led through the forest pushing your way through the bushes, parting thick creepers, to track the gorillas. (This trek can take from 1 hour to 10 hours and a rational amount of fitness is required as well as a sturdy pair of hiking boots). On encounter, you will stay in the forest among the gorillas for 1 hour , eavesdropping to them grouse to each other and wonder at the sheer size of the dominant male- the silverback! It is an amazing feeling sitting in the dense rain-forest knowing you are with a few of the last remaining mountain gorillas in the World. It’s astonishing to think there are only about 650 of these gorgeous beings left. Overnight at your lodge. Wake up early for breakfast and then later have a Kabale city tour before you proceed to the south western corner of Uganda where Ruhengeri lies. You will clear visas at the border . Note that you must check with your Rwanda embassy or consulate in your country to ensure that you get a confirmation letter of your Rwanda visa before you travel to any border because without the letter , you may not be allowed entry or visa to Rwanda . Later enter Kinigi . Lunch en route. Up market accommodation in Volcanoes Lodge / Sabinyo Silver back lodge . Take breakfast and report at 0730hrs to the Parc National des Volcans Headquarters in Kinigi office for registration, briefing and formalities. (your driver-guide will take care of all the formalities ). He will then drive you along the brim of Parc National des Volcans. Thereafter , you will start gorilla tracking through the park .The time taken to look out for these gentle apes will vary with how close they will be and it is unpredictable because the search is in their natural habitats. The gorilla safari here commences at about 2000 meters above sea level in the up-most slopes of the Volcanoes. After tracking and encountering your assigned group you will spend one hour in their company before tracking your steps down the volcanoes. An en counter after a strenuous walk is a worthwhile! If gorilla tracking ends early, visit of the Iby’Iwacu traditional village (a community based tourism scheme set by the local people to display their traditional ways of living). Take lunch and then transfer to Gisenyi one of the districts on shores of Lake Kivu. The drive takes about one hour and a half . Have fun at the magnificent Lake Kivu surrounding! (B-L-D). You will wake up early enough for breakfast and start your journey to Butare then Nyungwe. Butare – the second largest city of Rwanda is referred to an an intellectual city of Rwanda. It is a home to the National Museum, many universities as well as research institutions. Along your way to Butare , you will stop at Gitarama for a tour to the Cathedral of Kabagayi which was built by the White Fathers. Who were the first Catholic missionaries in Rwanda. The church was built in 1900 and it is located at Saves Hills, only a few miles from Butare. Also Tour Nyanza which is now known as Nyabisindu the former King’s( who in Kinyarwanda is referred to at Umwami’s ) palace and the seat of the federal realm. It is at Nyanza where the first Europeans who were Germans came to visit the Umwami. The palace was refurbished to its 19th century state and shows a customary dome that can match up with the Kabaka’s palace of Buganda Kingdom in Uganda. You may choose to do a morning or An Afternoon Chimpanzee tracking or Colobus Monkey Trekking .Take Breakfast and then assemble at Uwinka tourist information centre for briefing before you start your hike in Nyungwe forest . Nyungwe Forest NP hosts 25% of the African Primates! The forest has craggy and sheer landscape which a high altitude.. Good hiking boots are highly recommended . On your special interests, you will have a selection of diverse chances to discover the largest high elevation rainforest of East Africa! The commonest species are the large communal troops of Angolan Colobus (Colobus angolensis), which may be over 300 in number . The park is a home to the biggest troops of Angola Colobuses than any other place in the world. One of these groups is semi-habituated and we recommend to start your exploration with a guided primate walk in search of the Angolan Colobus monkeys (black and white Colobus)! Rangers may know where these primates may be found but the hiking times may vary with their unpredictable movements as they search for food in their habitat. It may be a strenuous walk but rangers always make it more enjoyable and informative by giving you information about the flora and fauna that you encounter while on the walk . Have Lunch . The exploration continues in the afternoon along different beautiful trails available then encounter the superb waterfall trail of Gisakura is probably the most thrilling along .The afternoon trek may take 2 up to 3 hours and is a very enjoyable hike that can be managed by any body! If you missed the Angola Colobus in the morning primates trek then can try to trek towards the tea factory where another troop is hosted. An encounter is a thrilling moment! You will be welcomed back by your driver guide from AA safaris and Tours who will brief you about your trek for the next day . Dinner and Overnight at the lodge of your budget . You will be transferred to Kigali. Visit the genocide memorial and then later have lunch. Transfer to the airport for your next flight back home. 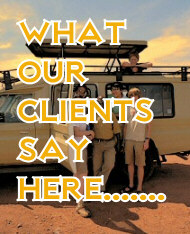 Thank you for choosing AA SAFARIS AND TOURS LTD.